A. We were high school sweethearts! We met in 7th grade, and started dating in 8th grade. We stayed together through high school and college - 10 years! We love to ski, so we took a trip to Colorado together last January. He proposed on our first day at the ski resort, and we spent the rest of the trip celebrating with family that traveled to Colorado to surprise us. It was such a memorable trip! Q. What was your overall inspiration? 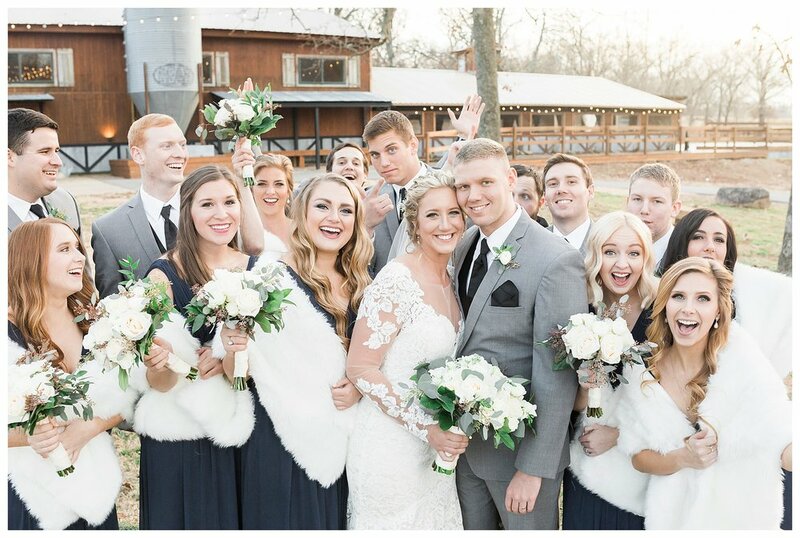 A. I wanted to have a simple, rustic winter wedding! 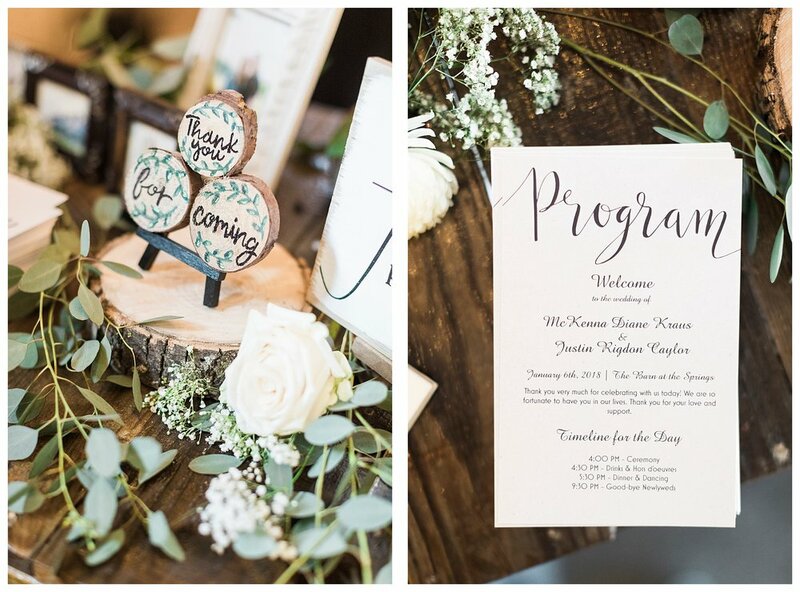 I chose navy and gray as the colors for our wedding party, and I tried to incorporate a lot of natural elements, like the the pine cones and the decorative tree slabs. I love greenery, and I love simple, white flowers. 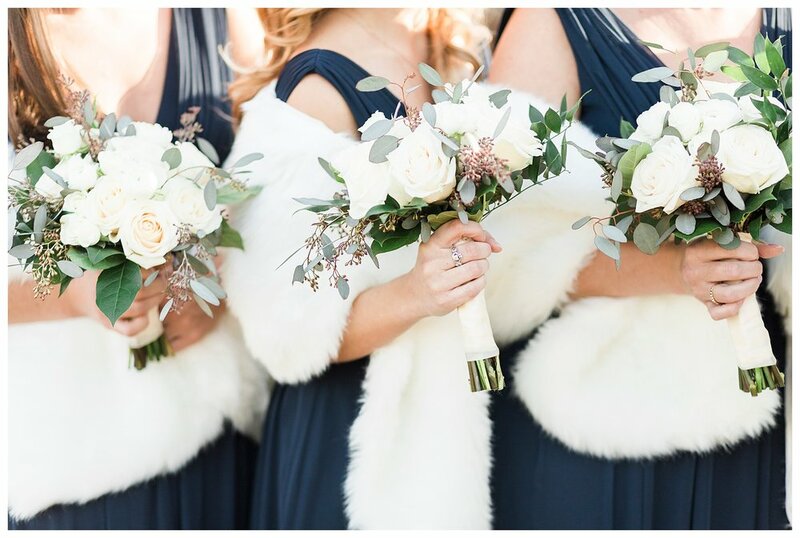 I felt that it was a great color palette for a winter wedding! A. I put together small favors for guests - they were Hershey's kisses wrapped in tulle and tied together with ribbon and a customized tags! We also had customized cups that were distributed at the bar. I painted several small watercolor paintings and placed them around the venue! I also painted small tree slab signs, and a photo booth backdrop. Making all of these things was probably my favorite part of the wedding planning process! Q. 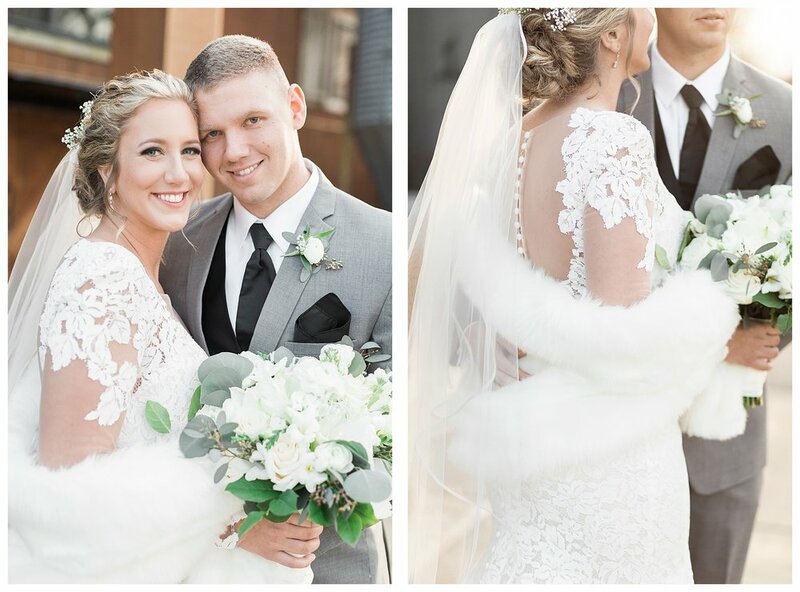 What were the highlights of your wedding day? A. We probably spent most of the night either dancing or playing ping pong - we barely ever sat down! 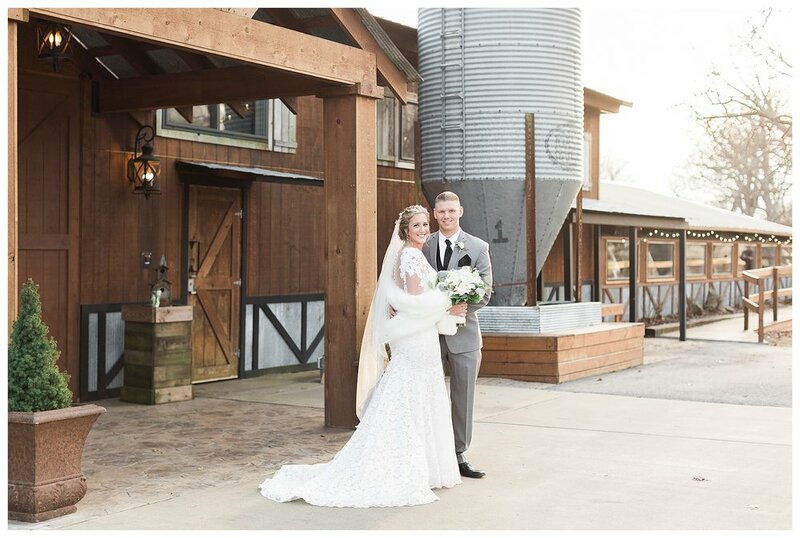 Photo Love Wedding and Portrait Photography Based in Bentonville, Arkansas.